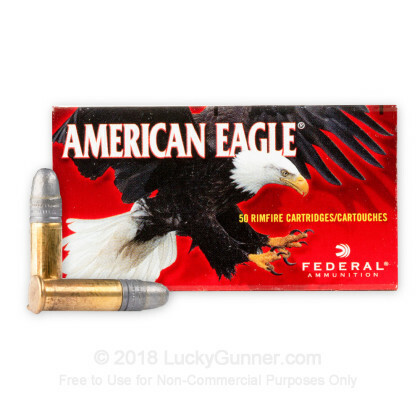 Federal’s American Eagle line has become one of the most revered and trusted ammunition lines among picky shooters—known for its quality and reliability through a wide variety of firearms. 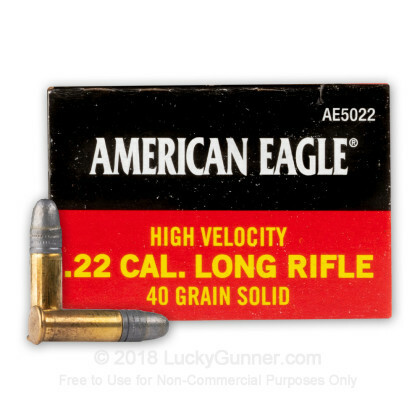 The American Eagle brand is an economical option for the target and high-volume shooter looking for an affordably-priced practice ammunition without sacrificing performance. 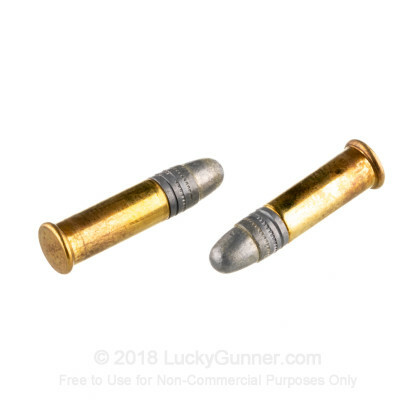 These .22 LR rounds contain a 40-grain Lead Round Nose (LRN) projectile loaded into rimfire primed, noncorrosive brass cases. 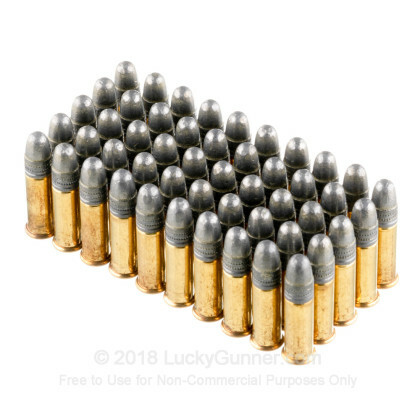 A high velocity .22, these rounds reach a muzzle velocity of 1240 FPS and are great for plinking, practice or varmint hunting due to the amount of expansion available from the LRN projectile. 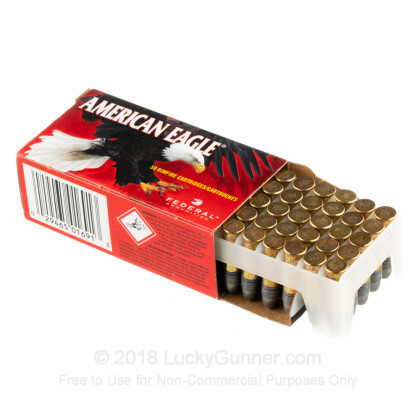 This 500-round package contains ten, 50 round boxes of Federal American Eagle .22. Federal, based in Anoka, Minnesota, is an American-made ammunition manufacturer, with a wide variety of products spanning personal defense, hunting and competition shooting. Their lines are world renown for performance, are synonymous with American ingenuity and quality, becoming a top choice for shooters everywhere. Great high velocity rounds for 22 semi autos. Tried them in my P22 with no failures. Good price, fast shipping. 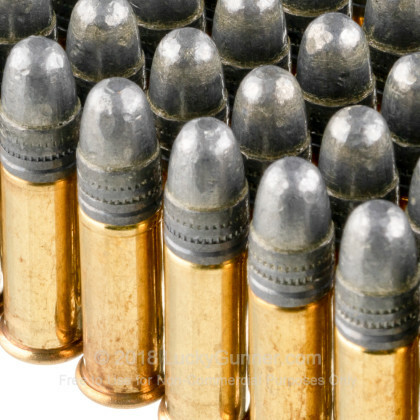 Great Ammo, but the price is high. Ordering was very easy, even though I live in Jersey. Very fast shipping. The only thing is the price was high. I Like the Federal American Eagle .22LR 40 gr. for my Rugger. Outstanding service. 1st time I had purchased so wasn't sure how it would work out. Not only was it easy, but fast turn around. I will be back again, Thanks Lucky Gunner! No problems, will purchase again. Primarily used on the range. I have had great results. We all know .22LR isn't as cheap as it used to be, but in bulk bricks it helps to not break the budget when you have the chance to stock up again. This has always run perfectly in my S&W M&P 15-22, and soon it will feed my S&W M&P22 pistol as well. Had no problems with the ammo. I have been having a hard time finding 22 ammo and you guys came through with it at a good price. Outstanding service as always. It is always a pleasure buying ammo from Lucky Gunner. It gets here in 2 days. It is very hard finding .22 rounds. While I love the Federal AE ammunition, the prices for .22LR are still ridiculous high. I know - not their fault demand being what it is, but at least I was able to get my hands on some! Ammo itself is great stuff. Fairly clean burning, no duds, no jams and lends itself to nice groups through my Ruger 22/45 and my CMMi AR conversion. Will definitely purchase again in the future. Have a S&W mod 317 AirLite 8 shot revolver that doesn't like many 22LR brands but works great w/22 LR - 40 gr LRN - Federal American Eagle's. I am a happy man!!! Took grandson out with a marlin model 60 no problems with a cheap semi auto rifle and,thats a good think,also ruger sr22 fired great with this ammo too! Best ammo available, no dud's yet. Never a problem dealing with Luckygunner. Good ammo and fast shipping from LG. I feel it was pricey but with the current ammo status it's nice having extra here. Superior service. Thanks, Lucky Gunner! great to see .22lr in stock, let alone a company that prides itself on same day shipping. The best .22 ammo I've used so far! Q: What's the muzzle velocity of the Fed Am Eagle 22lr 40gr LRN rounds?? A: Hello, These 40gr. LRN rounds by Federal in .22 LR have a muzzle velocity of 1240 fps and a muzzle energy of 137 ft.lbs. They are excellent target rounds for your .22 LR firearm. A: Hello Steve, These 40gr. LRN rounds by Federal in .22 LR have a muzzle velocity of 1240 fps and a muzzle energy of 137 ft.lbs. They make excellent target rounds for your .22 LR firearm. We also have this 22 LR - 40 gr LRN - Federal American Eagle- 50 Rounds ammo in stock in a smaller quantity.